There’s a wonderful prize pack filled with fabulous historical novels up for grabs this month! 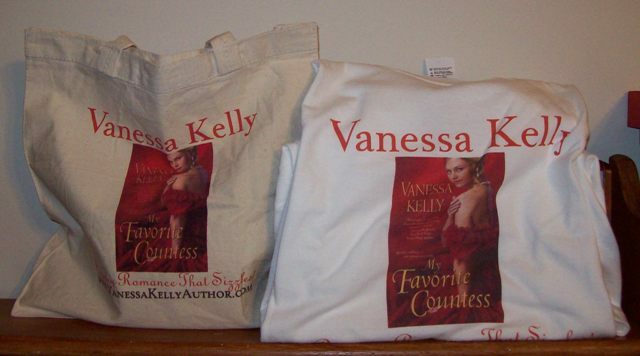 One winner will receive a MY FAVORITE COUNTESS tote bag and t-shirt along with the following TEN novels. What better way to pamper yourself during the hustle and bustle of the holiday season. To enter the contest simply send an email to vanessakellyauthor@gmail.com with the subject line DECEMBER CONTEST. Please include your full name and mailing address. One winner will be chosen at random from all entries.